Official minutes of the Parish Poll meeting are here. The clerk of the town council has kindly provided the following minutes of the meeting on Wednesday night. Present: 78 registered electors were present & 2 non registered. The chair advised everyone that it had been essential to register at the desk in the foyer to ensure that those eligible to vote could do so. It was his prerogative as Chairman of Warminster Town Council to Chair this Parish Meeting which he had been asked to arrange following the receipt of a petition on Friday 5th March 2010. This is your meeting and it is clear that you are dissatisfied with the Council’s decision on its plans for the Assembly Rooms. The Town Clerk has offered to take the minutes. He invited those that wanted to speak on the subject to indicate and each person would be able to put their point across. Cllr Tony Nicklin. The debate is about the Town Councils decision to borrow funds to refurbish the Assembly Rooms. There are two methods we can use, one is to borrow money from the Public Works Loan Board and the other is through our Precept. We are still working on the details and it is expected that we will go out to tender next week. Through the tender process we have selected 6 contractors to be a part of that process. The Figure of £800k is an estimate from our Quantity Surveyor but until we have firm contractors quotations we will not be able to gather as a Council to make any firm decision. We expect to have the prices by the end of April and once we know we will be able to debate what is achievable. We have heard a statement on the Council’s position. The issue is now in the open and for judgement in the court of public opinion. I hope you the public will be the judge of the facts of the matter and be able to return your verdict by way of an official parish poll. The Council has said that nothing has been decided. Firstly the council decided to end bookings for this facility from 1st May. Secondly in the Council Tax leaflet recently issued they said that this would be the largest project would be to refurbish the Assembly rooms and the halls for hire will be re configured. Not may be but will. I have no qualms in calling for a parish poll. Next we move onto the cost, easily over 1 million and when you add in the annual loss of £60k a year this hall entails you are looking at a cost to the town of 3 million over the next 25 years - what for? This ugly unloved shack has the worst acoustics of any hall of its kind in Southern England and Wales I am reliably informed by a local musician. What makes the matter worse is the lack of a business plan or the complete lack of clarity as to what the unique selling point of this building should be if it is to succeed in the future. The Warminster public need to be consulted in a realistic way and that is provided via a parish poll. The exercise conducted at the Mayor’s Day was not statistically valid and the questions may have been from the town council’s payroll vote drawn from organisations that receive cash from the council and be more favourable disposed to the council than the public at large. It was also small in number and heavily biased towards the older age group when it is the younger age group who will have to pay for this bill over the next quarter of a century. We have a vision for this building and also for our town hall, but the question must be limited to what is on the table. I therefore suggest that the question should be DO YOU AGREE WITH THE TOWN COUNCIL’S IDEA OF MOVING TO THE ASSEMBLY ROOMS? Such a Question offers the town council something. If you win the vote you have a mandate to continue but if you lose and do nor carry the public then you must accept the democratic position otherwise lose the moral authority and electoral legitimacy of your position as councillors. Elizabeth Collyns Preservation Trust & Civic Trust. A lot of people on the Civic Trust are horrified of the money planned to be spent on the Assembly Rooms, what about the Town Hall? 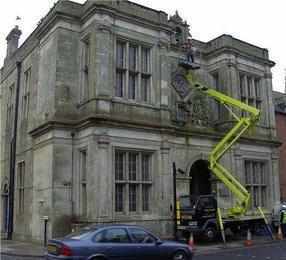 The Town Council were prepared to buy the Town Hall in 1994 and restore it. The price then was £30k and £200k restoration. The cost of the Town Hall is now more costly. It could be converted. The Assembly Rooms should be pulled down and the land sold to furnish the Town Hall project. Our church has been meeting in this building for the last 15 years and we have put more money into the Assembly Rooms than anyone else. It is short sighted to pull it down. The rental needs to be reduced and the soundproofing needs doing. This is an excellent facility and there are no problems apart from the sound. I think that the question should be accepted. There isn’t a need for the Town Council to come into the building and make it so small. I am confused. At the Town Council meeting 10 days ago there was a total lack of information and what is it we are being asked to do. We don’t have the costs yes. I would rather keep Dewey House than this building. We the electors do not have enough information. I do not believe we should have a vote at the moment. What are the alternatives. Have we looked at other buildings in the town? If we were to knock this building down we would not be able to hire anything out. The church have already secured alternative premises at Woodcock Road. There is lost of information about and we should find out how much this land is worth. How many houses would you get on it. The Town Hall is not owned by the Council and a lot of work is needed. We need to look at other options. Will the maintenance be a greater cost after the move? I have been a member of the Town Council for a long time. I am a champion of the old Town Hall and I would like to see it renovated. There are a lot of rumours about the costs. The Council looked at 3 options and the cost would be 1.2M over 25 years. I do advise people that this is a kind of mortgage and the interest reduces over the last years but is heavier in the early years. With inflation in 25 years time this will not be a great sum. We are in a quandary as a Town Council. We don’t know if with a change of government it may not be possible. I don’t agree with Steve Dancey and Paul Macdonald but I welcome an honest debate. I attended the Mayors Day and saw the plans. There is a lot of misinformation. Many people thought that the whole building was going to be used at the Town Council offices only. I am sure that you have seen the plans. The status is we have applied but not agreed yet whether to spend the money. Like myself, lots of you may have to borrow funds for a property. The Public Works Loan Board is a vehicle to borrow that money. My final point is if we lose a building of this size you will not have anywhere to hold large functions. Where else would you go in Warminster. This stage area would be available and the Ante room is the only area that will become offices. Parking at Dewey House is not convenient. This building could be used for multiple uses and be more flexible. I would like people to consider the question. The question is not clear. Three areas will be available to any groups. You will continue to have what you see. We started this process in 2006 and the plans have been on show since September 2009. There are no luxuries. At no time did the Council think that they would impose this scheme on the public. We will wait for further public consultation until the quotes are in. After that the Council will be asked to make a decision. At this point three members of the audience interrupted and suggested the Chair stop talking as they did not want to listen to his explanation. There are several key issues. This is a unique opportunity for the public to consider why the Council is going down this route. I wouldn’t mind if this was a brand new facility but it is like a second hand car. This loan will be spread over 25 years. That is £60k a year from the precept. The public must give the Town Council a firm idea of what is wanted. The public will be asked to vote. Someone has raised the cost of the poll which is miniscule in comparison with the project in question. The old Town Hall - nobody knows the value. What about some aggressive negotiation. There is plenty of space in the old Town Hall. I collected most of the signatures for the petition on the doorstep and there was a groundswell of concern about spending this money. I do not understand why a debt of 60k had accumulated. There maybe less income if the refurbishment goes ahead not more. Why cant you move to the old Town Hall. What feasibility study has been done on future income? If you put mind to matter, this building was purchased for £1 in 2001 and now it is losing £60k. What happened to the grant from WWDC of £28k which was paid for 3 years? The Town councillors are our elected representatives, all of them have a passion for the town and do what they can. They employ expertise and have the best interest of the town at heart. People here seem to think that they want to do harm to the town. What are you planning for Dewey House? You are going to use the stage for a council chamber, why can’t you use the hall in Dewey House for a chamber and use the existing chamber for office space. We are not going to sell Dewey house. To move CCTV would cost approx £50k and this was one of the figures that was a factor in considering other options. Dewey House will remain as a community facility. Two offices would perhaps be rented out. The access is not easy. The Council moved to meeting in Dewey Hall and the acoustics are poor in there as well. Many people complained and we were asked to move back into the old Council Chamber. I have no objection to spending public money but is has to be spent on the right thing the Town Hall is a disgrace. It has to come back into play. 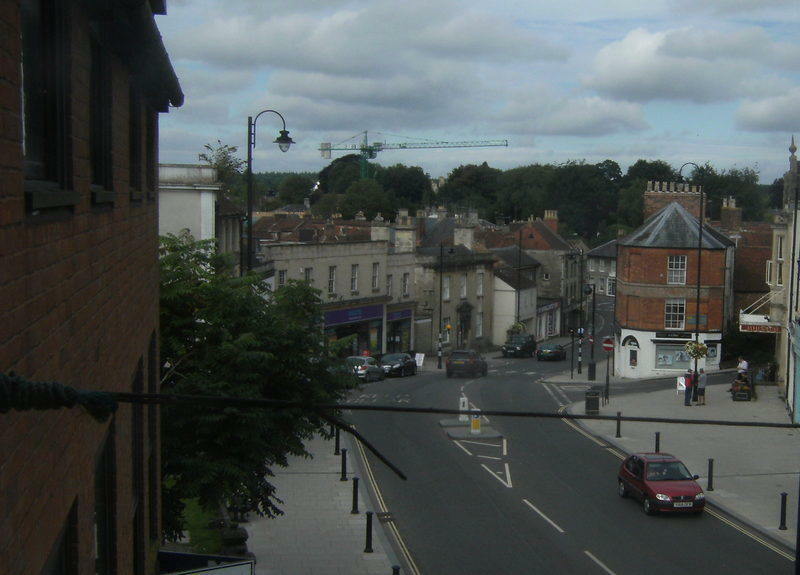 Steve Dancey 21 Newport Warminster BA12 8HR proposed the question “ DO YOU AGREE WITH THE TOWN COUNCIL’S IDEA OF MOVING TO THE ASSEMBLY ROOMS should be the question put forward to be voted on.